Based on the brilliant R8 with a thunderous 5.2-litre V10. 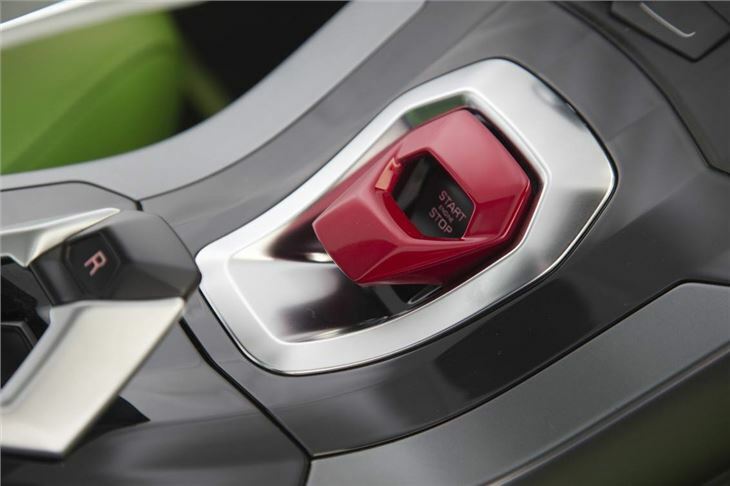 Surprisingly easy to drive, with slick seven-speed auto gearbox. Huge improvement over the Gallardo. Feels a lot like the Audi R8. 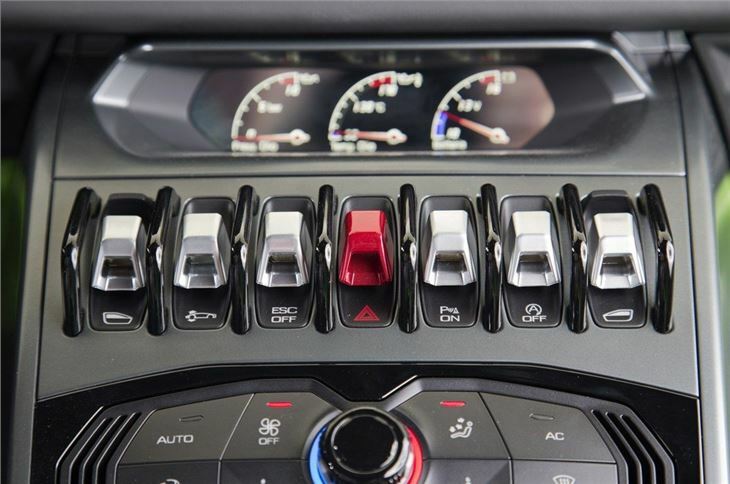 Steering lacks fluidity at high speeds. Still no match for the Ferrari 458. 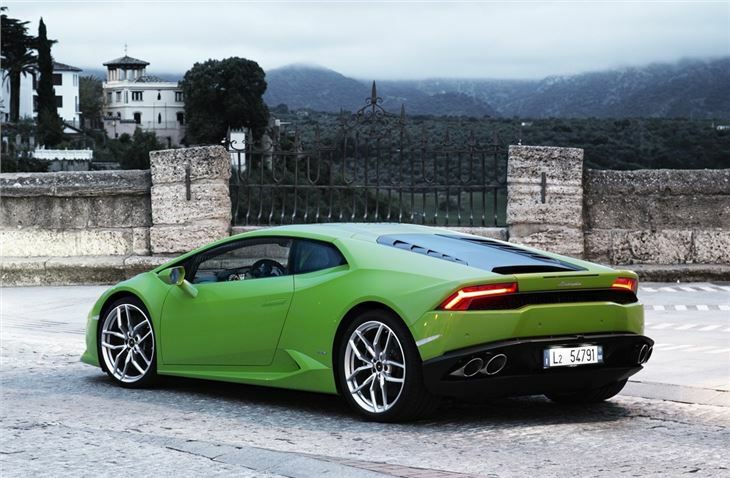 The Huracan is a powerful step forward for Lamborghini and a big improvement over the hugely successful but flawed Gallardo. 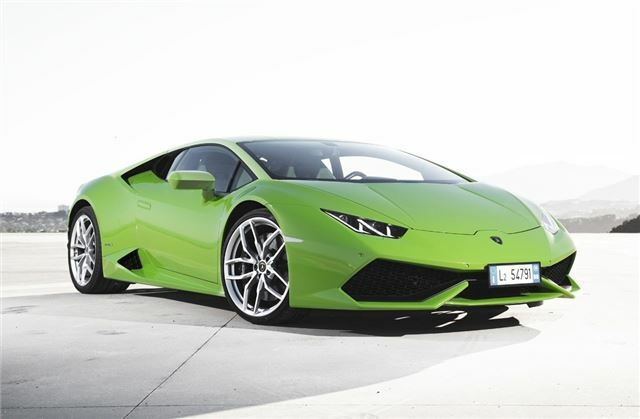 The Huracan is driven by a revised version of the Gallardo's thunderous V10, but surpasses its predecessor on handling, thanks to a carbon fibre and aluminium chassis, new four-wheel drive system and a seven-speed duel clutch gearbox. 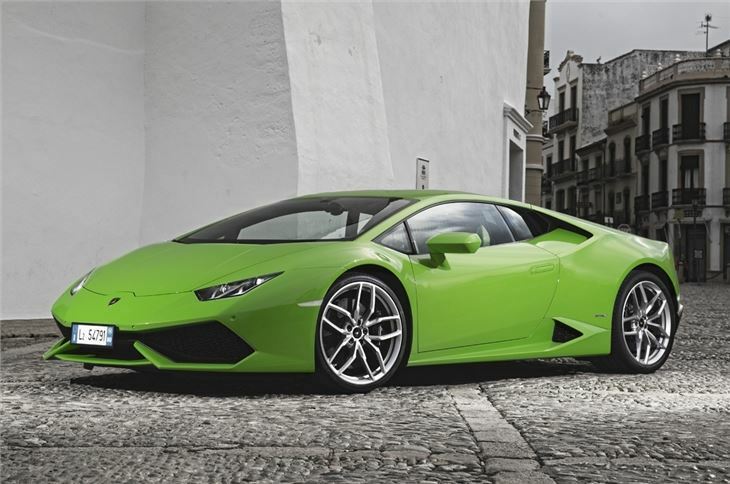 As a result, the Huracan is brutally quick in a straight line and in the corners, with the 5.2-litre V10 engine peaking at 610PS with 560Nm of torque. As a result, the 0-62mph sprint takes just 3.2 seconds and top speed is a 202mph. 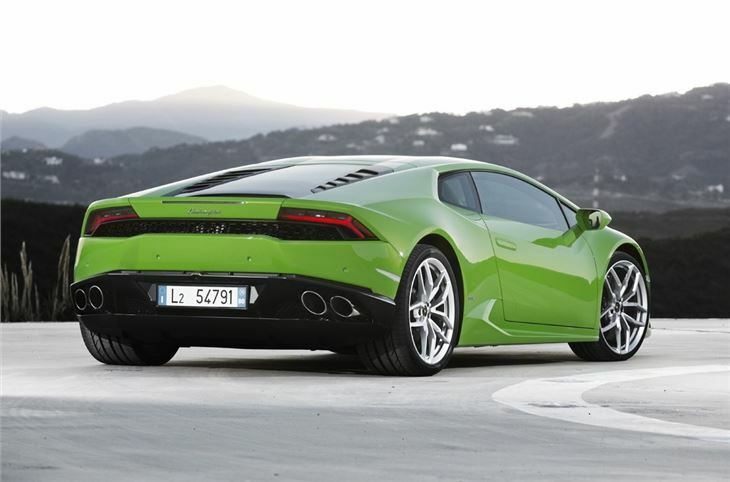 However, the Huracan is not as unique as Lamborghini would like you to believe. 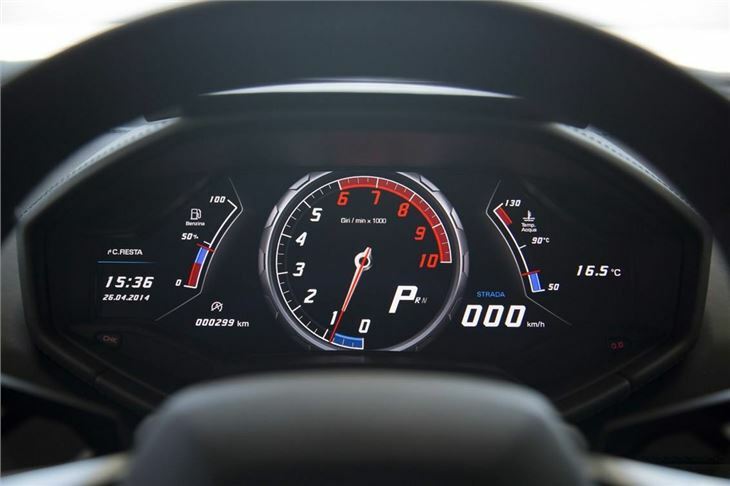 On the contrary, the engine, chassis, four-wheel drive system and gearbox are all sourced from Audi, which means the Huracan shares quite a lot of its innovations with the R8. 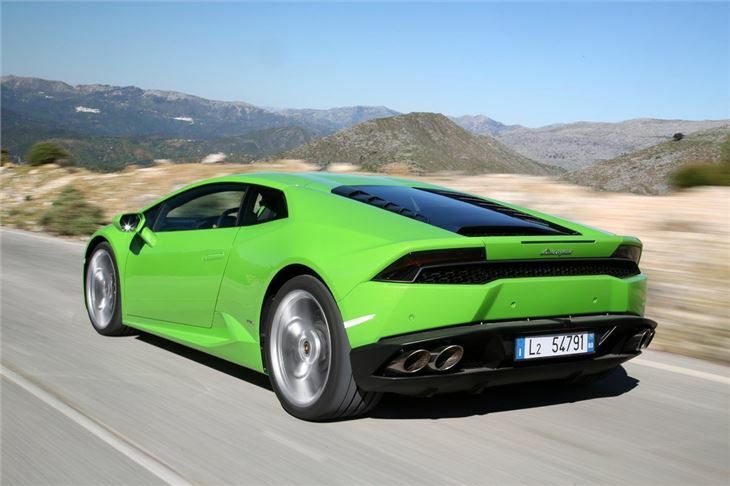 Yet, despite its Germanic origins, the Huracan feels every inch a Lamborghini, harking back to the hairy chested Italian supercars of the 1970s and 1980s, with thunderous acceleration and an ear piercing howl that erupts from the moment you thumb the starter button. 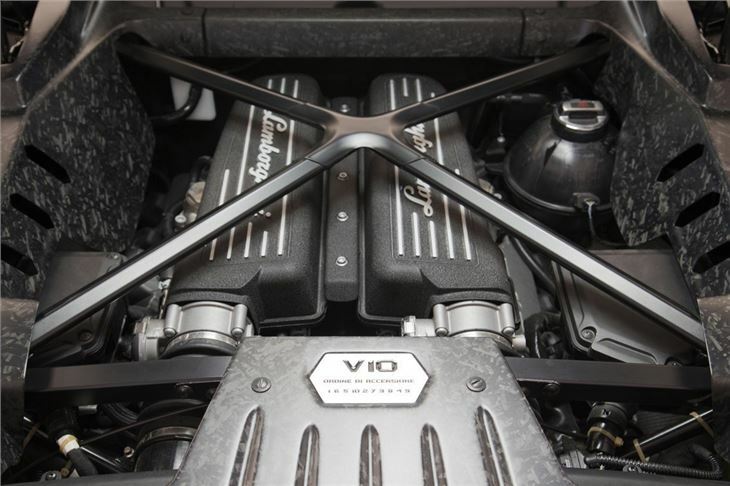 The V10 is a brilliant engine and blends effortlessly with the new seven-speed automatic 'box, which delivers instantaneous gear changes. 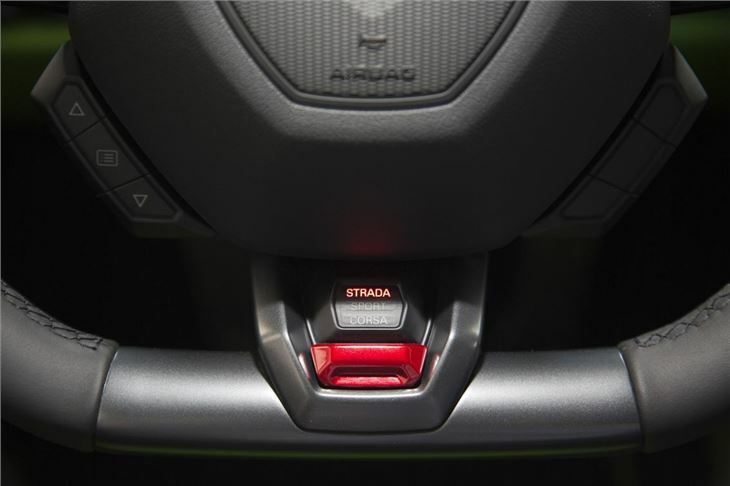 Likewise, the four-wheel drive system offers outstanding grip and handling, with the rear-biased 42/58 set up giving a more predictable ride, although the steering still feels a touch tentative when pushed to the very limits. 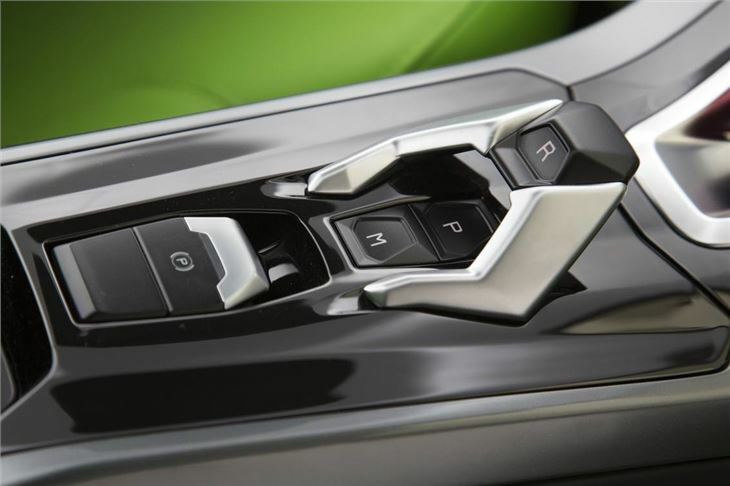 The quality of the cabin is better too, with a modern interior that rivals some of the best in the supercar business. 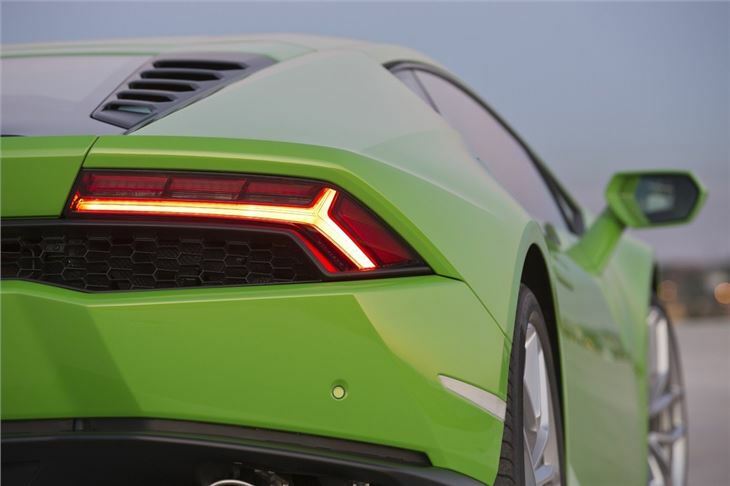 All-round visibility has also been improved over the Gallardo, although the Huracan still has some considerable blind spots, which makes parallel parking a sweaty palmed experience. 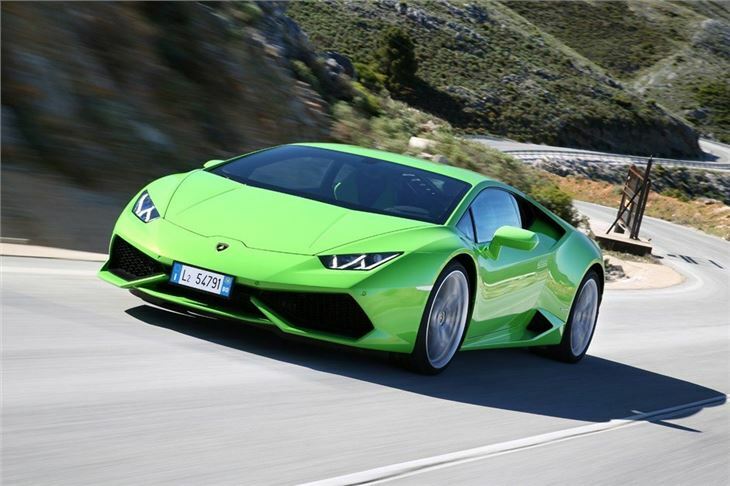 Compared to the car it replaces, the Huracan is a revelation. 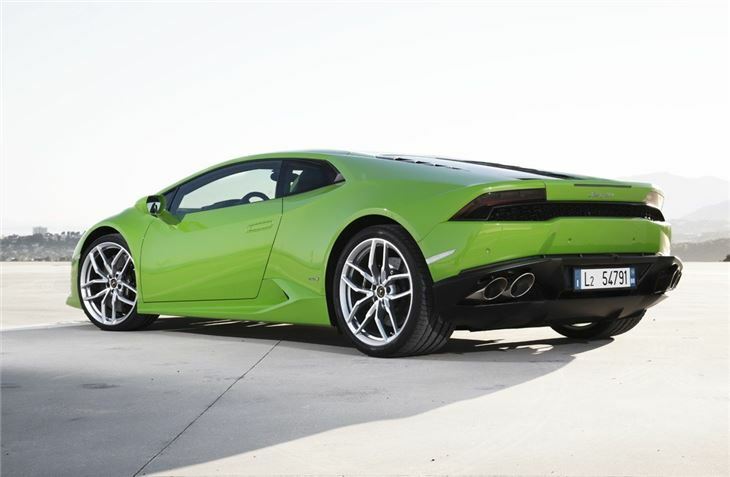 Not only does it surpasses the Gallardo for performance, with outstanding acceleration and grip, but the Huracan also injects some much needed finesse at the lower end of the spectrum, with improved everyday usability, thanks to its new gearbox and cabin. There’s one downside though - the Audi R8. 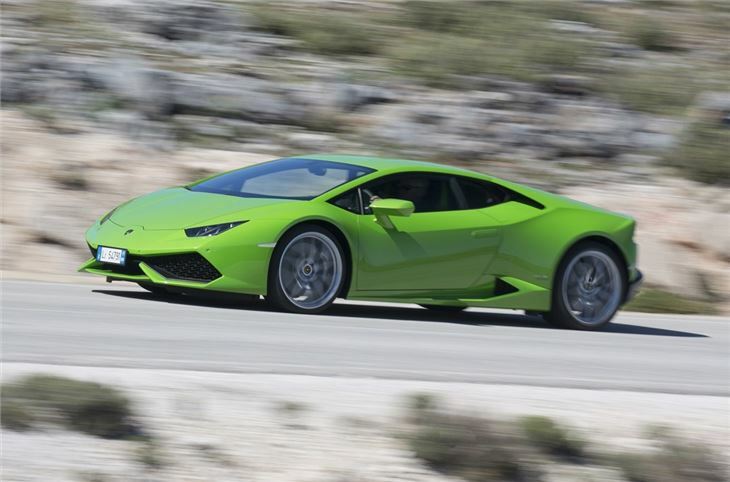 Indeed, the Huracan shares a lot of its technology with the Audi and some enthusiasts will no doubt take issue with the uncomfortable gulf in price between the two supercars. 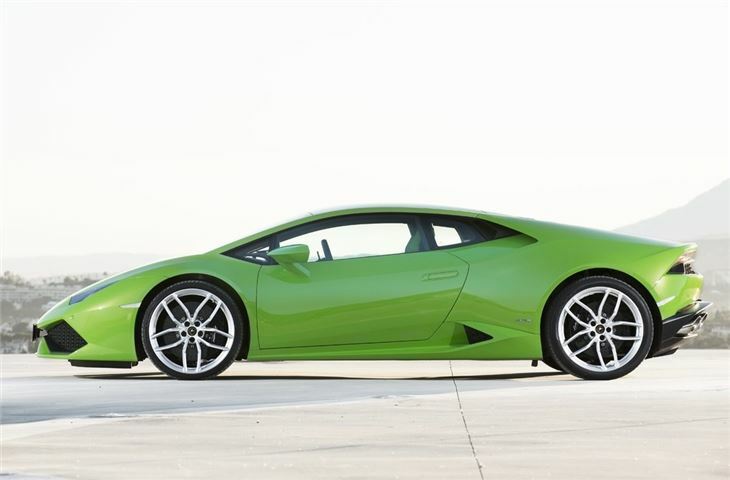 Yet, despite this, it's difficult to take issues with the brilliance of the Huracan. 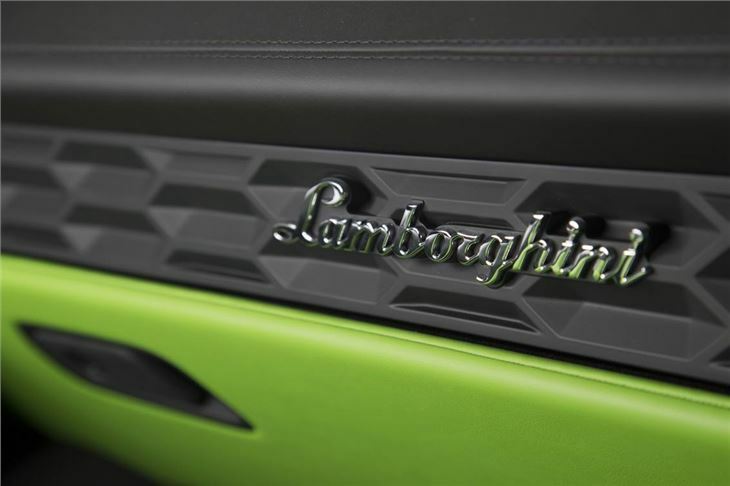 It's fast, loud and beautiful, which will tick all of the Lamborghini boxes for all but the most ardent of supercar buyers. .